“Oopsi Daisy” Inez Ibis falls as she tries to fly with her injured leg. Certain people are always in the wrong place at the wrong time. Though innocent, they often collide with those who are not. Law abiding, oblivious and unafraid, they may end up in an intersection with a drunk driver’s car wrapped around theirs. They fall into holes that others leave uncovered. They trip on the obstacles that careless people leave behind. We call these folks accident prone. My niece was one of those people. Her brand new Mazda Miata was totaled when someone else ran a red light. She hit a rock while mountain biking and spun out of control. A few minutes before, she had loaned her helmet to her riding companion; yet it was she who managed to hit the rock, skid sideways, and wipe out in gravel causing a tragic head injury which required months of rehabilitation. I don’t know whether I’m accident prone or just clumsy. But under stress, I have a tendency to drop things. I shatter dishes and glasses, and pull embarrassing blunders. After a stressful divorce, I was out on a date eating buttery movie popcorn. I had placed my soda on the floor within reach, or so I thought. I reached down to pick it up, and got as far as my lap when the lid came off spilling sticky liquid all over my skirt. The rest of the evening I sat in my wet outfit trying to ignore what just happened. I’ve bumped the straw on my glass, reaching for the salt, causing water to spill all over the table; I’ve dropped my silverware when it stuck to my forearm and then crashed noisily to the floor; I’ve spilled hot coffee over my blouse when the cup I lifted to my mouth turned out to be light-weight melamine instead of stoneware. Calamity follows some people wherever they go. And if not them, to those they associate their lives with. In 1852, Martha Jane Cannary was born; the oldest of five siblings, in Princeton, MO., though she sometimes claimed Illinois or Wyoming in her dairies. She was married, or so she says, to Clinton Burke in 1885. They lived together for at least six years, but the marriage was never documented and historians doubt its existence. A child came out of that union, although it may have been Burke’s before he met Martha Jane or hers with another man. Things recorded in her dairies were part truth and part fiction. Her life was fraught with difficulties and she may have wrote them as she wished them to be. Martha Jane dressed as a man. 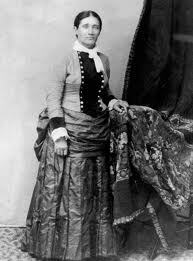 In later years, Martha Jane dressed in every way like a man. 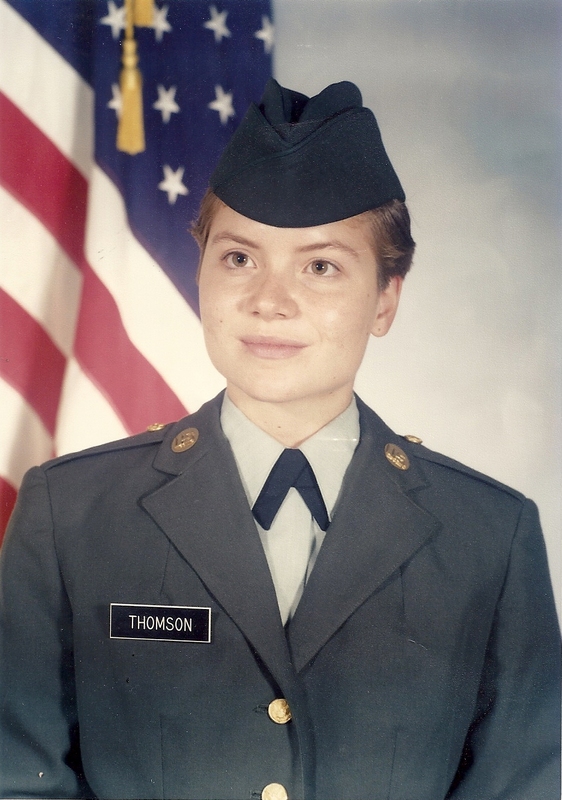 She moved around mining towns, railroad camps and the occasional military fort. 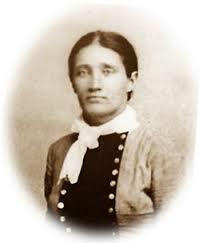 She worked on the railroad and as a mule skinner to “eke out a living.” She may have protected herself from abuse by dressing as a man, although, some say she may also have worked as a prostitute. Martha Jane on her mount. 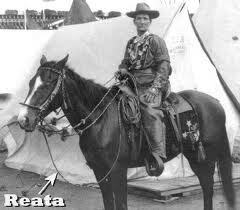 Stocky and strong, she worked like a man, drank like a man, and was a real frontiersman. She worked as a “Scout” and guide, but the Indians stayed away from her thinking she was “titched.” A good marksman, she appeared in Wild West shows with Buffalo Bill. When she died (most likely from pneumonia, inflammation of the bowels, or alcoholism), she was buried next to Wild Bill in Deadwood, Dakota at Mount Moriah Cemetery. She had a rough and tumble life. 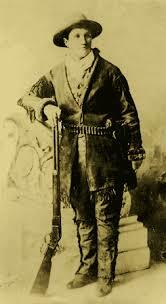 She threatened any man who bothered her with a “calamity” and soon became known as Calamity Jane. As her name implied, she was a most interesting and tragic person who seemed often to be in the wrong place at the wrong time. We all have our days; some of us more than others. We fail to check out our surroundings for trip wires and red flags. We hurry too fast when we should slow down. We allow our uneasiness in new situations to shake us up. We become distracted by conversation and the noise level around us. In either case, instead of being ourselves and feeling relaxed, we try to fit in and mimic the behavior of others making us feel more unnatural and uneasy. 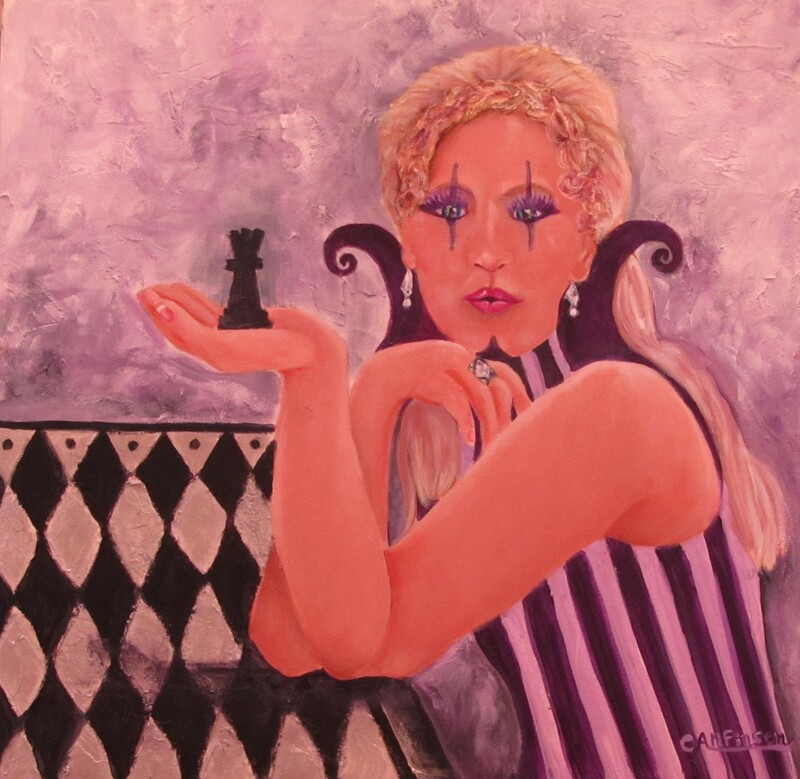 We may be too eager to please, or too curious about matters which are none of our business. 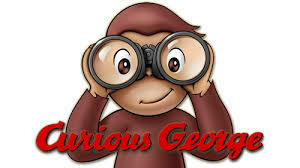 Curiosity helps us learn new things, but it may also be our downfall.